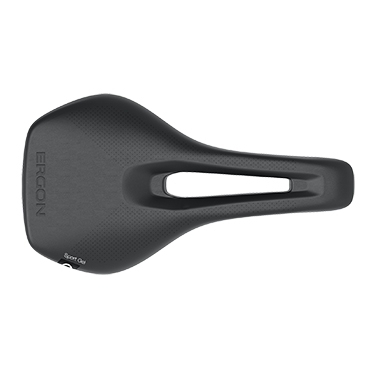 Product information "Ergon SR Sport Gel Women S / M Road Bike Saddle Black"
Designed and developed by sports scientists and industrial designers, tested to the harshest by top female drivers, a saddle generation was created that combines maximum comfort with 100% race ability. All saddles of the SR series are equipped to the specific characteristics of the female anatomy. Women are much more mobile in the pelvic area. As a result, the pelvis tilts more often forward on the saddle. Due to its high flexibility, the saddle optimally supports these movements. The Sport Gel Women is specifically designed for women looking for maximum comfort in race posture on the road bike. The flat but comfortable padding ensures maximum seating comfort in typical road bike pre-bent position. The genital and seating area is noticeably relieved by large-area gel pads. Related links to "Ergon SR Sport Gel Women S / M Road Bike Saddle Black"
Customer evaluation for "Ergon SR Sport Gel Women S / M Road Bike Saddle Black"